property offer did not transpire, due to some major inspection issues. You supported my decision without question. there for me while I had to make a choice on my next plan of action. Your patience with me was a gift I will always appreciate. listing, as I know I can trust and depend on you. It is not often that you meet someone that is truly committed to their profession. My wife and I decided to purchase a home in Puerto Penasco. After speaking to several residents we decided to have Fabian Nieblas from Remax assist us. From the very start Fabian made us feel that finding the perfect house was his priority. Fabian took the time to get to know us and used his exceptional knowledge of the area to find us our dream beach house. Due to his vast understanding of market values he was able to get our beach house at a fair price. Fabian’s assistance with all of the nuances (cable, water, electric) associated with moving to a new home made the move easier. I cannot thank Fabian and the entire Remax team for the effort they put forth. I wanted to drop you and your staff a note now that my family and I have completed our first trip to our new condo on Sandy Beach. First of all, we had a blast. The girls even approved of most of the previous owners decorations. I was going to write a list write you with a list of ways you exceeded my expectations. But I didn’t hire you to exceed my expectations. I hired you to meet them. That is when I realized that no list was necessary because you met them all. You listened to what I wanted in a property. You listened to what I needed in a property. You listened to where we wanted to stay. You were honest when you told me the good things about properties. You were honest when you discussed bad things about properties. You were honest when things were running on time. You were honest when things were not going to work with my schedule. You were considerate with my time. You were considerate about my schedule changes when flights were canceled. You made all of my offers quickly. You kept me informed of all counter offers and correspondence with the sellers right away. You gave me assistance with every request I had once my bid was accepted. You made sure the closing went as planned and on time. Thank you so much for all of your assistance, information, professionalism, honesty, consideration, and your time. You, your family, and your staff were wonderful to deal with and they took care of me like I was their only customer. I have no plans to ever leave Rocky Point. But if I ever decide to upgrade, you will be my only call. Branden, Has more character than any agent I have worked with including all the agents in the U.S.A they I have dealt with and I'm a agent in California for 32 years! The idea of buying a house in Puerto Peñasco was something Mary Ann and I had discussed for years before we finally decided to act. And when we did, there was no doubt that we would be utilizing Grant MacKenzie taking advantage of his and his team’s expertise. Grant’s tenure and reputation in Puerto Peñasco and the depth of his knowledge of the real estate market there made him not just the best choice for us, but the only choice. We had been having informal discussions with him for some time and his knowledge of the area, the market and the forces impacting real estate in Puerto Peñasco gave us the reassurance and comfort we were looking for. And the fact that he waited for us to come to him when we were ready was greatly appreciated! Buying a new home under any circumstances can be a trying experience - doubly so if that new home is in another country. But Grant and his team did a fabulous job of guiding us through the process, from looking at the first home (and then again, and again.) to signing the final paperwork. Grant’s expertise in a very fluid market helped us immensely in determining where to start negotiations. And his guiding hand saw us through an up and down, cancelled, resurrected and ultimately successfully completed, negotiation. Which is when his team really showed its value Erelis, Reyna and Hector were there every step of the way to make sure all our documentation was completed and submitted on time, funds were transferred and all utilities were changed over. We literally simply showed up and signed the closing documents. And picked up our keys, of course! Mary Ann and I like things that make our lives easier working with Grant and his team made our home purchase as easy as it could be. I would like to thank you and your staff for the fine service you provided us in the sale of our condo. I know it was hard with the economy in a slump at the time we listed the property .I appreciate your recommendations and also not putting any pressure on us to change the price, but at the same time gave us good advice on what the market was doing in Rocky Point. We were able to get almost everything that we wanted in the sale of the property. I also want to let you know how impressed I was with your professional staff during the listing through the closing. I would like to mention a few Reyna, Erelis, and Hector, I am sure there were many more that I did not have the opportunity to meet or deal with. I would highly recommend you and your Remax office to any one who is considering buying or selling their property. Grant MacKenzie and the folks at ReMax in Rocky Point are incredible. While we were introduced to them by a personal reference, we never actually met until most of our work with each other was over. And yet, they took us on as clients, as if we were long lost family members: they did the market comps, listed the property and talked us through the significant decisions we had to make, all over the phone. In the end, we took Grant and his lovely wife Judy out to dinner and celebrated a great life in Rocky Point. Thanks Grant! So, if you want a professional realtor who is also one heck of a guy, make sure you use Grant MacKenzie. I started looking at condos in Rocky Point in the spring of 2012. Branden from Re/Max Legacy was quick to answer any questions or concerns. Branden followed up with many condos that fit my need and budget, never pressuring me along the process. 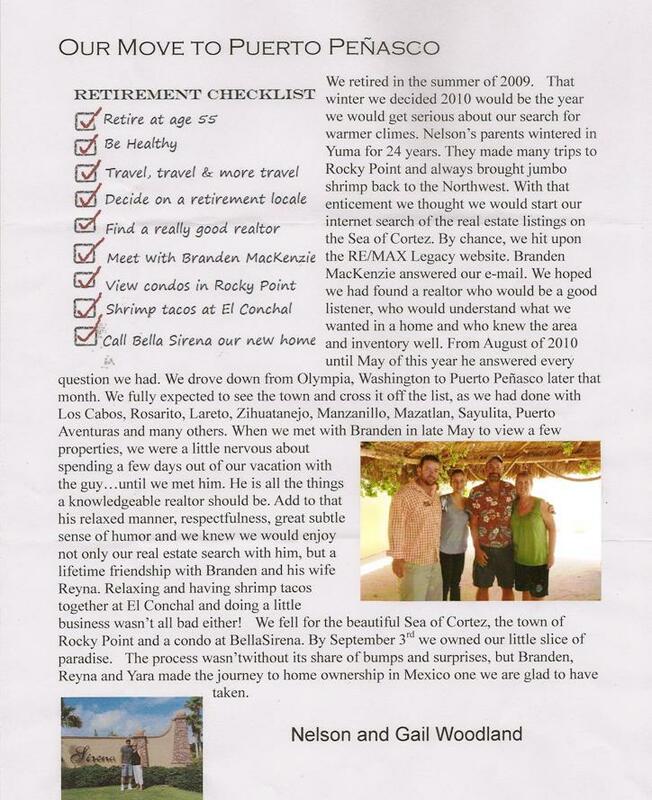 Branden possesses great knowledge of the market and Rocky Point. I purchased a condo in the Princesa in August of 2012. Thanks to Reyna, the closing process was quick and easy, unlike closing on a home in the US. Branden contacted me several times after the purchase to ensure customer satisfaction. Oh, by the way he guided me through another condo purchase in April of this year. My wife and I have become good friends of Branden and Reyna and they are in constant contact to see how we are doing. Branden MacKenzie has given us the best service we have ever received from a realtor. During our purchase he became not only our right hand but our good friend. Branden consistently went over and above the call to make sure that any of our concerns were immediately addressed and was very patient as I continued to send request after request for more information. His replies were always timely and accompanied with good humor which allowed me to feel comfortable asking everything I wanted to know. On several occasions Branden ran out to the unit on short notice and took lots of pictures for me of under sinks, on rooftops, everything I could ask. How does somebody get comfortable buying a piece of real estate in a foreign country? They hire somebody who knows the ropes, cares about the project as well as the people and anticipates their needs. We foumd all of that and more with Branden. Once our property had been selected Branden turned us over into Reyna's capable hands. Reyna was great at providing complete and detailed cost breakdowns and projections for every expense that we would incur. Her attention to detail and ability to communicate all of the differences between United States and Mexican real estate law were invaluable. She was very patient as I worked to wrap my head around the nature of the purchase/Trust/LLC deal. I cannot thank them enough for helping us to make our dream a reality and for befriending us at the same time. We are writing this letter to ley you know of the womderful experience we gad in purchasing our first property in Mexico. Most of that credit goes to Fabian Nieblas. What a pleasure it was to work with him. From the minute we met him we knew he was someone special. He was extremely knowledgeable and answered all of our questions. If the didn´t know the answer, he found it out and reported it to us. His patience with us was beyond what we expected. He came to our rescue many times when we could not speak the language. He showed us around and pointed out all the different places we were not familiar with; he made us feel very comfortable and welcome in Rocky Point. Fabian is a true professional. We hope to keep him as our "friend" for many years to come. We would not hesitate to recommend him to anyone we know that is interested in purchasing property in Puerto Peñasco. He is truly a very big asset to your company. The other person we would like to recognize is Reyna Molina. 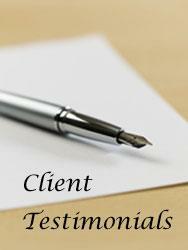 She has been extremely knowledgeable and helpful in the closing process. She is also a very major asset to your company. We would also like to thank your entire office staff for all the help the have given. Everyone has been very pleasent and welcoming. We recently purchased a Beach front condominium in Rocky Point. Our Realtor Fabian Nieblas from Remax Legay showed us excactly what we were looking for. We are very satisfied with the purchase and the services that Remax Legacy provided through out the process. The Remax personnel are very knowledgable and friendly. 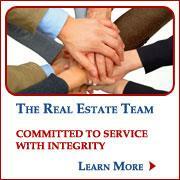 I would highly recomend Remax Legacy services for your Real estate needs. Thanks Fabian Nieblas for all the hard work the put into this. WOW....thanks for the super service you gave my brother and I while on my search for a home. I'm home in Oregon now and organizing my information and thoughts about Cholla Bay. I can see myself living in Cholla Bay so the possibility is there. Over the next several months I will be investigating possibilities to see where I will settle. We will keep in touch and I will let you know what's happening. Thanks so much for your time you were sooooo great to work with. Reyna, I can’t thank you enough for all your help, attention and kindness during the sale of my condo at Puerta Privada. Even though you represented the buyer in this transaction, you treated me as if I were your most important client. I honestly don’t think the deal would have gone through if it weren’t for you. Your experience, knowledge and high level of service were apparent throughout the process and your great people skills saved the day. Not only are you extremely competent, you are a pleasure to work with. I would only work with you on future transactions. I am very grateful to you, Branden and everyone at your ReMax office. Please stay in touch and let me know if there is ever anything I can do for you! My wife and I had been looking to investment in a Condo in Puerto Penasco and knew of your agent Bill Barvitski. During our initial meeting Bill had asked me various questions to determine what my interests and investment level was. Later that day we met and he had pre-paired a list of units in various complexes for review. He took my wife & I to the complexes and after the 4th complex Bill felt that we should see a complex that more suited our desires. We went to the Pinacate and saw that this not only had great value but the unit that we had purchased turned out to be the nicest of all the units that we had seen that day. Later, when we returned for our closing and met Silvia Guerra from your Title Department we again felt very comfortable as she explained every detail of our close. Bill Barvitski was not anly with us the whole way but he also took us to get insurance, change our Electricity and helped us with our FM-3. Bill then introduced us to the administrator at Pinacate and then the owner of the rental agency for the Pinacate complex; he covered every aspect that was needed for a buyer. We would not have invested in Puerto Penasco if it was not for Bill Barvitski and we were extremely pleased with the additional VIP service that Bill had provided. Both your Title Department and your Sales Department and very professional and we would be happy to refer anyone to RE/MAX Legacy and Bill Barvitski. My wife & I would like to give thanks to you for handling the sale of Pinacate B-105 in Rocky Point, Mexico for us. We believe that getting the condo sold in 6 weeks time is rather remarkable, especially considering the slow real estate market in both the United States & Mexico. We have always enthusiastically recommended you to anyone who has ever mentioned to us their desire to either purchase or sell real estate in Mexico. When we purchased properties a few years ago in Puerto Penasco you were there to help us in everyway concerning all the details & steps needed not only to purchase real estate but also how to handle all the aspects of getting everything done that is necessary in being an American property owner in Mexico. Communication is an essential part of any business. Your communication with us (both in email & telephone & in person) has always been excellent. You have always kept us in the loop concerning everything that we would need to know about this sale. A professional Realtor like yourself has made purchasing or selling property in Mexico a positive experience on the buying end (a few years ago) and now on the selling end. We would definitely have you handle any future purchases we would make in Mexico. Once again, we would recommend you to anyone wanting to purchase or sell their Mexican property. We really believe Bill that you are the most outstanding real estate agent south of the border. Branden , Has more character than any agent I have worked with including all the agents in the U.S.A they I have dealt with and I'm a agent in California for 32 years! Pete and Mary Ann Greenawalt. I can’t thank you enough for all your help, attention and kindness during the sale of my condo at Puerta Privada. Even though you represented the buyer in this transaction, you treated me as if I were your most important client. I honestly don’t think the deal would have gone through if it weren’t for you. Your experience, knowledge and high level of service were apparent throughout the process and your great people skills saved the day.